For the past 18 years we have been creating extremely high quality hand crafted house numbers signs. 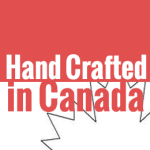 We are a family owned and operated family business and our hand crafted products are made by local artisans, most of whom have been with us 15 years or more! Why not enhance the curb appeal of your home today with a hand crafted house number sign, or choose from some of our other amazing, unique, one of a kind products.